The conflict between the Houthis and the Saudi-backed government in Yemen has recently entered its fifth year, aggravating the suffering of Yemenis and deepening the world's worst humanitarian crisis. 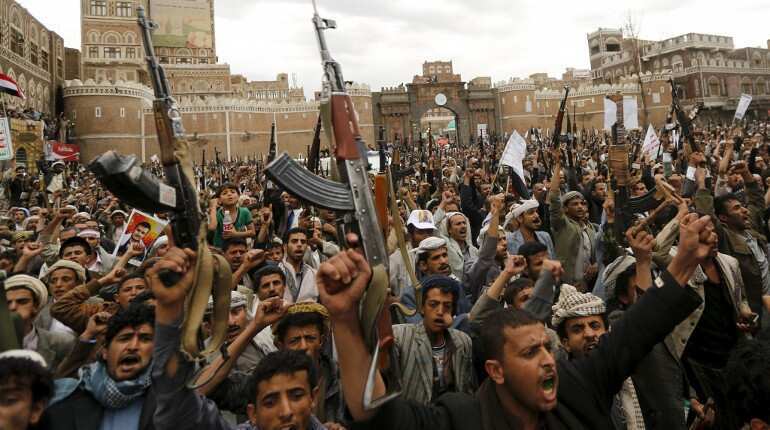 Here's taking a look at the onset of the Yemen crisis. Besides corruption, unemployment and food security, Hadi faced difficulty in handling the security personnel who continued to exhibit loyalty to Saleh. Hadi's government also faced attacks from the jihadists. Around 10,000 people -- mostly civilians -- have been killed and more than 60,000 wounded since the Saudi-led coalition joined the conflict, according to the World Health Organisation (WHO). The country has also been ravaged by cholera, which has killed more than 2,500 people since April 2017. Around 1.2 million suspected cases have also been reported. 'It is a living hell for every boy and girl in Yemen,' it said in November 2018.